Transformation Talk Radio at transformationtalkradio.com is a live radio channel full of inspirational and empowering messages from experts and radio personalities in the fields of human potential, health and wellness, mindfulness, spirituality, relationships and more. No matter your level of interest in these areas and beyond, Transformation Talk Radio is sure to have a radio show that appeals to you. 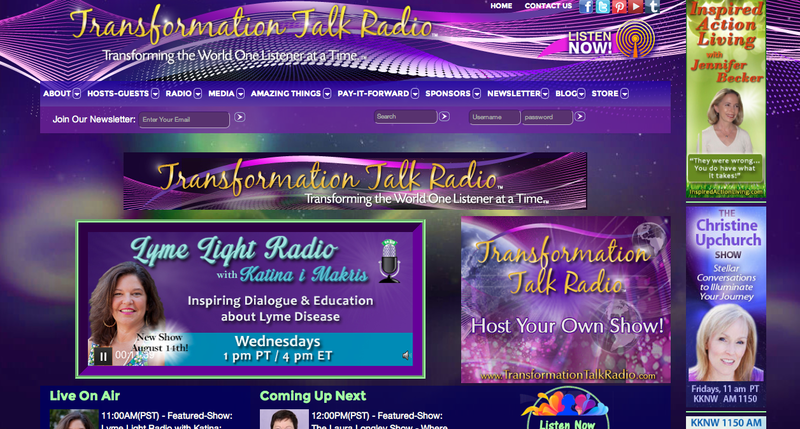 The Transformation Talk Radio blog is here! We are announcing our new website design and celebrating with Dr. Pat because it is her 10th year anniversary on radio! This blog is created so our hosts can post inspiring information to transform the world! We are much more than just radio and this blog is a part of the much more! This is your go-to place for inspiring messages & quotes from our amazing hosts, tips & tricks for healthy living, insider information about events & workshops, and practical information all designed to inspire, improve, educate, and motivate you live your best life. Tune into all of our amazing shows live 24/7 on www.transformationtalkradio.com or download the Spreaker app from your phone or tablet's app store to listen to us on the go! Our new completely custom apps are in development right now so the will be here very soon! Did you know that TTR is now distributed on one of the world's largest internet networks? That's right we literally reach MILLIONS of people!! So, do you want to host your own show and develop not only an incredible radio presence, but also create an amazing marketing platform? We would love to partner with you! Send an email to host@transformationtalkradio.com for more info! Stay tuned for more exciting information coming very soon!